Minister of Railways & Coal, Shri Piyush Goyal announced extension of 22 pairs of train services running on Indian Railways’ system in Rail Bhavan today. These will provide additional connectivity between various places in the country. Chairman, Railway Board, Shri Vinod Kumar Yadav, Member Traffic, Railway Board, Shri Girish Pillai and other senior officers were present on the occasion. Speaking of the occasion, Shri Piyush Goyal said, to reduce additional lie-over time of the trains and emphasising on “sweating the assets”, we have decided extension of numerous trains across various Zones of Indian Railways. 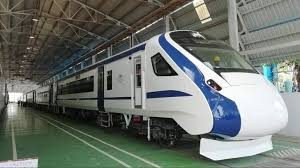 He added that the first successful experiment of extension was introduced on Gatiman Express, which was extended from Agra to Gwalior and then to Jhansi. Accordingly, the following extension of 22 pairs of train services will help in development of these areas and will also help to utilize our resources to the full extent.